While some are looking forward to celebrating Halloween, others are already busy cleaning up the cemeteries. For most catholic Filipinos, November is the month of remembering all the beloved faithful departed. In the Philippines, a yearly special non-working holiday is especially dedicated in honor of the dead. Some even travel miles just to get home in time for All Souls Day. All Souls Day has somehow become a celebration, a special gathering, and a reunion of families, relatives, and friends in cemeteries where their dearly departed ones are buried. People offer prayers, bring flowers, and light candles as they are part of the whole tradition during this special occasion. Often, it turns out to be a festivity rather than a solemn celebration. People eat, laugh, and reminisce the old times. Once a year, every November 1st or the 2nd, my family and I visit our close relatives in their graveyards. However, for the past 2 years, I haven’t stayed too long in the cemetery ever since my mother and two sisters left the country and are now permanently settled in the US. But I guess this year, after I take a short visit in my great grandmother‘s tomb, I’d probably be staying a bit longer in my father’s graveyard. It’s my first visit to his tomb for this year’s All Souls Day since he just died few months ago. 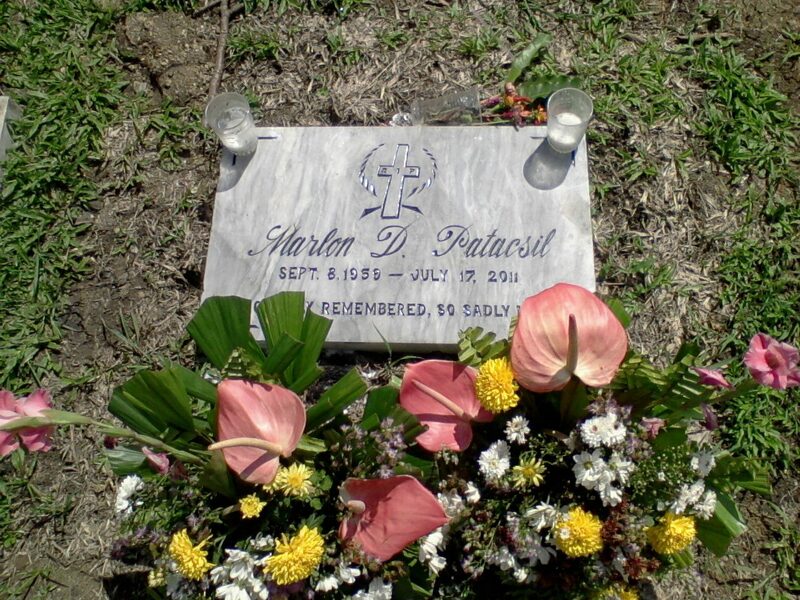 Unfortunately, when my father died last July due to a freak accident, my mother and two sisters were not able to personally witness my father’s burial ceremony since they can’t just simply pack their bags and go home to the Philippines. It’s also unfortunate that they won’t be able to visit him this coming All Souls Day, but I am here anyway to pay homage to his grave site.